Ulthuan • View topic - A Grand Sacrifice To The Dice Gods! A Grand Sacrifice To The Dice Gods! Post subject: A Grand Sacrifice To The Dice Gods! Me and a Gothenburger went to a tag team tournament in Västerås during the weekend, the same one that Cavetroll attended. This is a brief report, because it would otherwise have been one of constant, utterly constant dice misfortunes. Never have we seen such abysmally poor dice rolls for crucial tests through 4 games in a row! For our fifth and last match, we got a table with a couple of sacrificial temples. So my teammate got the brilliant idea to rank our three most underperforming units in our armies, and march them straight unto the altar, and sacrifice them for free magic dice! 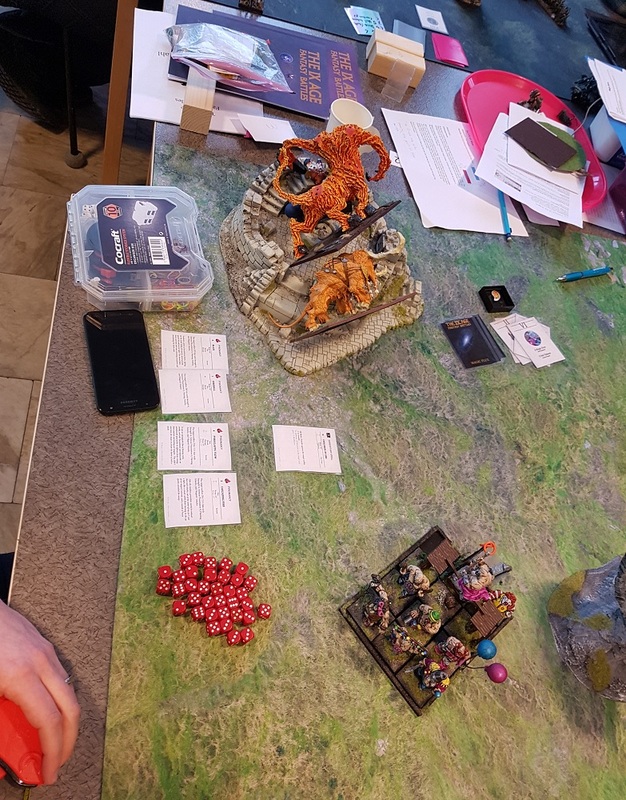 So we killed at least 1/3 of our own army in exchange for fireballs, and though the blood sacrifice was ultimately found unworthy (bloody right!) since we didn't win the game, we still performed much better without these terrible wastrels, than we did with them. It was our best game in terms of victory and battle point results, and in terms of sheer fun. So next time the dice gods hate you, throw the losers on the altar! Post subject: Re: A Grand Sacrifice To The Dice Gods! So my teammate got the brilliant idea to rank our three most underperforming units in our armies, and march them straight unto the altar, and sacrifice them for free magic dice! Sometimes the dice just play out that way, though rarely 4 games in a row. You must have really angred some dice gods. In my experience the dice rolls itself manage to average out during a game. But it's more about the moment you get the bad rolls. And sometimes they all come at the wrong time. That crucial charge or breaktest or a mage deciding to holiday in the warp with his first spell in turn one. Do you have any more pictures of the event? Cheers, Rod! That is indeed so. In our 4 lousy matches, our few spectacular rolls came in the last turn for some irrelevant last-ditch fireballs and the like. The opponents were bewildered but amused! I forgot to take pictures of anything except this Finnish Chaos Dwarf army. Will see about getting some images of one of our opponents' circus Ogres. That's a pretty stunning army. A lot of love went into that. The steam punk vibe is great. Armies like that are one of the joys of table top gaming. Will see about getting some images of one of our opponents' circus Ogres. This is the charm of Ogres I think. They really invite conversions and themes. And with the relatively low model count and large surfaces for painting you can get some great results. I met one of these in Poland once, nice chap. In case of angry gods, offer them some bodies. Chaos Dwarfs don’t need much excuse for blood sacrifice! I fought some of these once, clever conversions, bonkers game.